Southlake is one of the most prosperous areas in the United States, with famed residents like district representative Giovanni Capriglione or football superstar Julio Jones calling it home. The homes began as part of a master-planned neighborhood intent on creating high-quality upscale homes and eventually evolved to focus on creating a luxury neighborhood like Stratford Park, Shady Oaks, Westwick Hills, Villas Del Sol, The Reserve of Southlake, and more. As a city named Forbes’ most affluent neighborhood before, taking a stroll around Southlake can be one of the calmest and most beautiful ways to spend an afternoon. But whether you’re taking a walk around Southland Town Square or driving to work at one of its famous businesses, like Sabre Holdings, you are still vulnerable to accidents that can ruin you or your family’s lives. If that happens, finding the leading personal injury law firm in your area can be essential in seeking compensation. When damage befalls a person instead of their property or livelihood, we refer to that as personal injury. In a legal sense, personal injury refers to trauma caused by the negligent actions of someone else. It can mean either physical or emotional harm, and many cases have some mingling of both injury types involved. Of the various forms of personal injury, automobile accidents are the most common in Southlake. To that end, we at Warriors Of Justice are open about our intentions to provide the best automobile accident lawyers in Southlake. We are versed in car accident lawsuits involving spinal cord injuries, traumatic brain injuries, and catastrophic injuries of many different varieties. Despite what you might hope, after a car wreck, we know very few people are on your side. Insurance companies will seek recorded statements that place blame on an individual, and officers and other victims of the accident may be quick to point fingers. After a car wreck, it’s best to admit that you’ve been emotionally damaged and aren’t ready to make a statement. This also gives you time to hire an attorney, who will focus on your wellbeing first and foremost. We’ve already drawn up a list of our most immediate suggestions following a car accident. We know that in court lawyers will attempt to use semantic arguments that call someone who causes the wreck and the negligent party different. And we know that injured parties often attempt to get you into a private interview with their insurance company, where they can record your statements to give a slanted view of the accident. That’s why we believe we are the best option to represent you in motor vehicle cases, with a track record that most law firms wish they could emulate. Southlake has a bustling tourism industry, but unfamiliar drivers on the roads can lead to unforeseeable accidents in your area. Automotive accidents are already harrowing, but the dangers (both physical and financial) in a motorcycle accident are exponentially worse. One of our best legs up on the competition comes in the advice we provide clients before a wreck ever occurs, which we’ve boiled down into a shorthand called Reducing The Variables. Believe it or not, the most common forms of motorcycle accidents are usually drinking and driving and distracted driving situations. A motorcycle accident attorney will do their best to identify the cause of a wreck, and while courts can begin prejudiced against the motorcyclist, we know that motorcycle owners who act responsibility are often the ones who incur more damage in an accident, despite being equally safe and aware on the road. When taking a case for an owner of a motorcycle, attention to detail is important when identifying what injuries were caused by the accident, and how they should be defended. Burns, road rash, and abrasions are all far more likely on a motorcycle then they are in an automobile. The chances of an accident causing wrongful death are also much higher, which means having a lawyer willing to guide you through a case can be even more important than in a car or truck. We provide basic suggestions on how to drive safely while reducing the variables if an accident should come to pass, to help identify who is at fault. But we also provide counseling on safe driving and are willing to direct you to courses that teach advanced biking if asked. Finally, we specialize in identifying injuries and focal points of crashes before a case starts, maximizing your chance of winning any litigation required as part of the painful experience. Trucks are more common in higher income neighborhoods because the additional height provides added security in a wreck, the owners often have more property to move or deliver, and they leave a lasting impression on onlookers. It’s no surprise then that they are a common sight in Southlake, and our firm has extensive experience in truck-related accidents. Truck accidents are particularly devastating from an insurance standpoint, and because they increase the likelihood of accidental death in those involved in an accident in a normal sized vehicle. Like car or motorcycle accidents, we offer truck accident attorneys who can help regardless of whether you have health insurance or not and can offer assistance as soon as contacted after a wreck to make sure your part in the accident isn’t misrepresented. The loss of life due to negligence, the technical term for fault in lawsuits, is known as wrongful death. Wrongful death attorneys specialize in guiding victims or their loved ones through difficult court processes. But our lawyers are taught to take extra steps, meeting with families to teach them methods to face grief during their daily lives, and for days following the case’s end. Wrongful death cases can be some of the most expansive. While the initial aim is always simply to implicate whoever was truly responsible for the disaster, often this requires an attorney capable of both disproving accusations against the deceased, while proving culpability in those pointing the fingers instead. It can require multiple cases, however, as negligence often falls not only on the individual responsible but the company who hired them as well. Many cases involve poor hiring habits or negligent supervision, and for these reasons, a wrongful death attorney must be especially skilled at balancing several points in court at one time. Our services allow you compensation for your loss in the form of lost wages, punitive damages to the guilty party, and more. We will also guide you through local laws, like who is technically responsible for bringing a lawsuit to bare in Southlake, and what an appropriate settlement offer is from insurance companies, or others involved in the accident. Employment lawyers are a special branch of attorneys who focus on legal cases that boil down to illegal behavior in the workplace. Employment cases are civil lawsuits, so hiring a lawyer who specializes in that particular form of law is important. If you’ve been harassed, defamed, or targeted by a current or former employee or employer, our employment attorneys can help! Harassment is a special category of lawsuits, and litigation for it differs not only from a federal to state level but sometimes even to a local one. That’s why it won’t do to hire an ordinary attorney. We suggest you hire a local DFW harassment lawyer, who specializes in harassment laws and local business code. At the core, harassment is a serious offense that can be targeted at anyone. Racial slurs, coercion, or threats to yourself or your work performance all fall under harassment. In Southlake negligence falls on the employer instead of the employee harassing you, and companies often put up far more resistance to lawsuits to protect their business. No matter who you are, we offer our services to guarantee your harassment case doesn’t go unnoticed simply because a business is more capable of putting together a legal defense before your court date. Although retaliation cases are far more often false accusations than not when you are a victim of a vindictive ex-coworker having a retaliation attorney is key. To be clear, we use the official guideline for retaliation cases. Retaliation occurs when you are punished in the workplace, or by a former workplace, for using an otherwise legitimate service of the business that has some adverse effect on it. If that sounds complicated, here’s an easier example. If an employee is injured, and files for worker’s compensation while recovering, a business might fire him to attempt to avoid paying the accident related compensation. Another example is if you filed a sexual harassment case, only to be released before or after the offender is punished. That’s right; we know that companies often fire the offender, only to fire you too in an attempt to not reimburse your pain! Texas operates with an “at will” policy, so businesses can normally fire an employee for little reason, and employees aren’t required to provide a reason before quitting. But retaliation is different, and our lawyers excel at guiding you through the minutia of the Fair Labor Standards Act as well as state law to help your case be as credible as possible. The Family and Medical Leave Act(FMLA) is another target of retaliation. Because it does not apply equally to all employers, we provide attorneys skilled in navigating Southlake’s businesses to help your case wherever possible. Violations of the FMLA come from businesses who fire an employee for taking rightful time off, such as working women who need time off due to pregnancy. FMLA retaliation is harder to prove because employers rarely admit to firing an employee for that reason. Instead, it is up to your legal team to identify circumstantial evidence that proves their actions were malicious. The veracity of circumstantial evidence in court differs between areas, so we think having a local lawyer represent you can provide invaluable assistance. Even a neighborhood as storied as Southlake is unfortunately subjected to discrimination at times. In cases where you need a discrimination lawyer in Southlake, we provide services that prove bias against people of color, unique genders, advanced age, and far more. Our approach is to offer our legal services in a manner proportional to the disservice victims of discrimination have faced before coming to us. We encourage decisive action in cases that violate your civil rights. After all, in Texas cases of discrimination require they be brought up within 180 days, or they will be dismissed. The onus of responsibility is on the accuser to provide evidence that the case is credible, so we offer our services in gathering the basis for a discrimination case as quickly as possible to ensure your complaint is viable in the eyes of the law. Timeliness is the number one issue in most discrimination lawsuits in Texas, which is why it is our forte in law practice. For example, after the initial 180-day period, assuming you file your case, you will receive a Right To Sue notice. After this, you will have 60 days under Texas law to pursue your allegations. With so many dates set before you, we think that hiring a lawyer is far from a formality, and practically required to make sure your case is taken seriously. 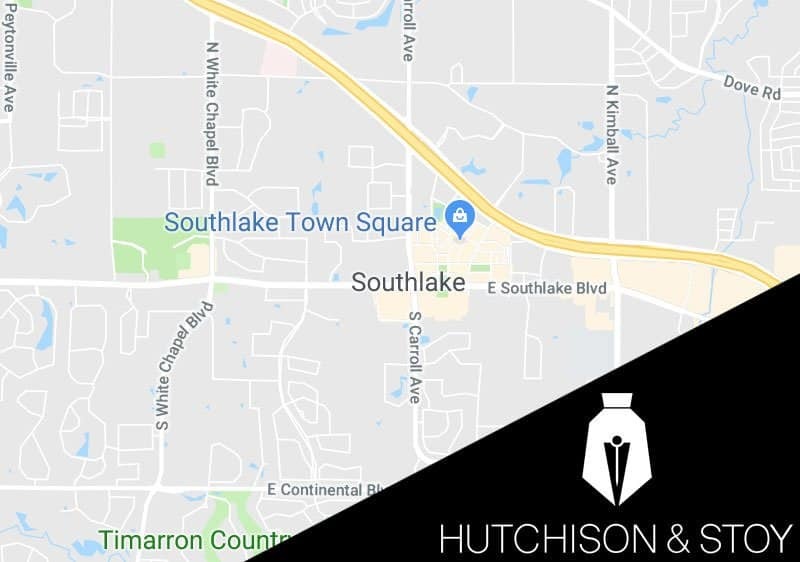 Hutchison & Stoy is based out Fort Worth, but we understand that the people of Southlake need representation from experienced attorneys that understand their area and laws. We want to provide our legal services to ensure that when you are subjected to painful days at court, you have someone who can fathom your family’s grief, and ensure you receive the best results of the law you possibly can. If you are located in Southlake or any other city in the Dallas-Fort Worth metroplex, our law firm will fight for you! Call our firm at 817-820-0100 or fill out the free case evaluation form to speak with an attorney today.